HONOLULU – Jim Porter, president of the National Rifle Association of America, is in Hawaii preparing to speak at two events over the weekend. Porter headlines the Hawaii Republican Assembly Veterans Day event on Saturday. On Sunday, he will keynote the Hawaii Friends of the NRA dinner. This is only the second time a sitting National Rifle Association of America President has visited Hawaii. Porter became the first NRA President to appoint a Hawaii resident to an NRA committee when in May 2014, he appointed Willes Lee to the National Rifle Association of America Urban Affairs Committee. Lee said Hawaii’s shooting community is honored to again host the NRA President. “Porter’s visit supports our shooting community and affirms the great work of the Hawaii Rifle Association and Hawaii Friends of the NRA. For conservatives, the NRA President’s visit highlights the need to help Hawaii’s liberal lawmakers understand the 2nd Amendment and our civil rights,” Lee said. Tito Montes, the Hawaii Republican Assembly President, said the Hawaii Republican Assembly is extremely privileged to have Porter give the keynote address at our Veterans Day Event. “ It is so very important to honor our veterans and our right to bear arms; without either, we would cease to exist as a nation,” Montes said. 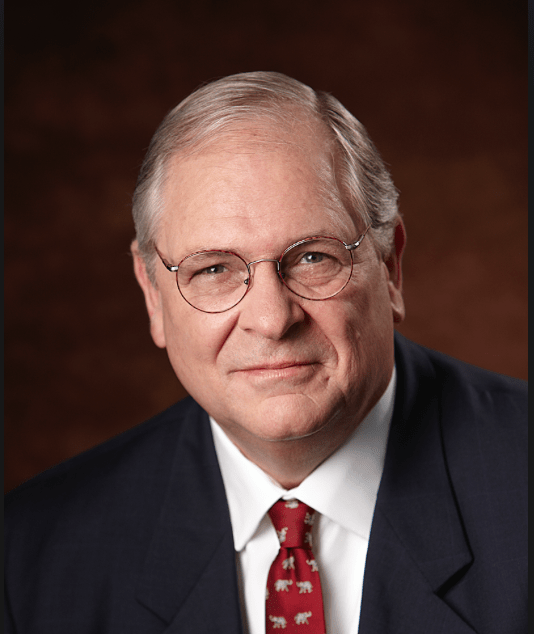 An Endowment Life member of the NRA, Porter is a long-time NRA Life member, an ardent supporter of the Second Amendment, and a practicing attorney and president of Porter, Porter & Hassinger, P.C. He is also chairman of the American Firearms and Shooting Foundation and serves as vice president of the Alabama Rifle and Pistol Association. Porter served on the Alabama Trust Fund Board and the Governor’s Conservation Advisory Board, and presently serves as a Trustee of the Alabama Forever Wild Land Trust Fund Board. In 2013, he was named “Conservationist of the Year” by the Alabama Wildlife Federation (AWF). As an attorney in Birmingham, Ala., Porter has defended gun manufacturers against malicious lawsuits and worked to help pass legislation to protect shooting ranges. In addition, Porter has worked with NRA to expose and fight United Nations efforts to adopt a worldwide gun-ban treaty. He has also been a strong advocate for the creation of major donor endowments and has helped raise millions for NRA programs. His father, Irvine C. Porter, served as NRA president in 1959-1960 and was honored as an Honorary Lifetime member in 1978. He was chairman of the historic meeting in Cincinnati in 1977. We will always have a strong and sound second amendment only if we all support the 4th amendment and repeal the 16th amendment to our US Constitution.